Welcome to an exciting year of learning and growth at Harman. We are off to a great start establishing routines and getting strong habits in place that will contribute to positive experiences and success for all of our students. We are pleased to welcome Becky Dzuris as an intervention specialist on our team as Kathy Jabir transitions to the role of Instructional Specialist with the retirement of Dr. Swisher. There are other exciting changes and new opportunities at Harman being featured in this issue. Please be sure to check them out and reach out to us if you have any questions. It's back! After tremendous success in its debut year, the Lumberjack Reading List is back as a reading challenge for 4th through 6th grade students. Introduced to ignite student interest to read new types of books, Harman students did not disappoint. Last year's students read 819 titles, and 34 students read all 11 books on the list to become Wall of Famers. Sixty students read over half of the titles making them eligible to vote for Harman's favorite book of the year, Space Case. This year's list is included below and a 12th mystery title will be announced after holiday break in January. Please email Ms. Ford @ ford.holly@oakwoodschools.org with questions or comments. Harmanize gets a new name . . . The Oakwood Schools elementary character education program is getting a new look and a new name but sharing the same great life skills with students in grades 1 - 6. Now in its seventh year, the program, previously called GRIT at Smith Elementary and Harmanize at Harman School, will be called Timber at both schools. During the past three years, a group of faculty from both buildings has been working as a team to plan sessions, speak at conferences, and remain current in social emotional trends and research to benefit the Oakwood population. This summer, team members decided to show their unity by creating one name to be used across the district for the character education program. "We are OneOakwood. Harman and Smith have been united in our character education mission for years. It only made sense to have one name to communicate our united efforts to grow great kids," School Counselor Teresa Harris said. The team chose the name Timber after hours of discussion and debate. Teachers, principals and counselors wanted the new name to carry meaning, along with the connection to the heritage of the Oakwood Lumberjacks. While "timber" has several meanings, two made their mark and solidified the team's decision. Timber is defined as a cluster of strong trees growing together. It is also defined as character. If someone has particularly marketable skills or values for a position, he or she is said to have good timber. 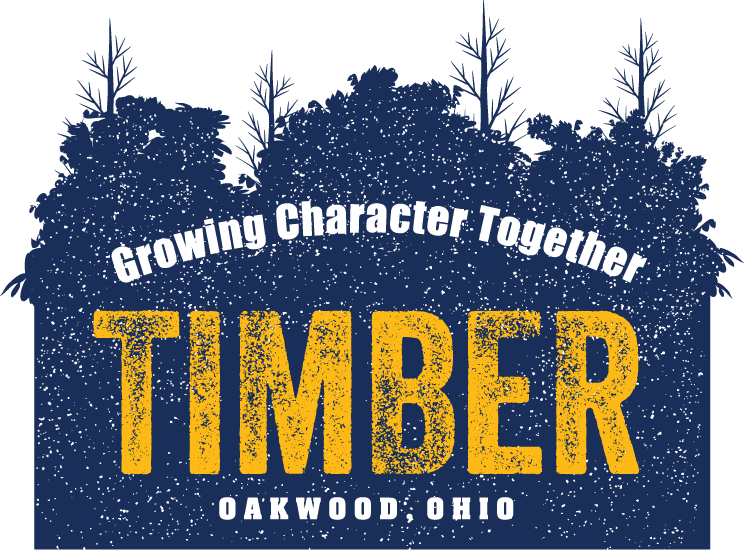 As the district has a desire to grow strong students with great character and even better strategies to conquer life's inevitable storms, Timber was seen as a fitting title for a program to prepare the young people of Oakwood. Prior to the first multi-aged character education session of the school year Aug. 31, students at both buildings were given clues each day leading up to the big reveal of the new name. Throughout the year, students will participate in activities that relate to a collection of picture books by Peter Reynolds. The first week's lessons focused on making connections with others and the book, I'm Here. "We hope the children in both buildings leave each lesson anticipating future meetings and ready to lead by example," Timber Team Member Shawn Fry said. Sixth grade teacher Lisa Henry agrees. "I hope the kids leave each Timber session feeling a sense of purpose, a desire to create change, and a sense of belonging. We want to build character among individuals so that they can lead beyond the school walls." 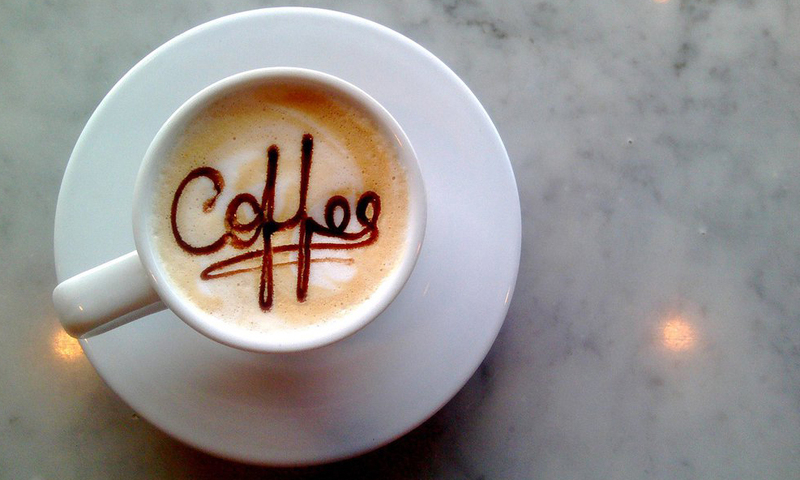 We would like to invite you again this year to have "Coffee with the Counselor." This opportunity will allow us to share with you about our school counseling program, build partnerships and work together to best support our students in and outside of the classroom. We want to hear from families and community members, seeking input regarding student needs, issues and how to unite in our efforts to help kids overcome current and future challenges. Coffee with the Counselor will occur three to four times this year. Please join us so we may better serve students and families to grow amazing kids that will undoubtedly make a positive difference in our community and our world. Wednesday, Sept. 5, 2018, 5:30 pm at Smith Elementary - What is a School Counselor Anyway? What is Oakwood's Character Education Program? September is National Pediculosis Month. Pediculosis is the official name for head lice. I know this is a topic no one wants to talk or think about, but as school begins so do the cases of head lice. Here are some suggestions to help you try to keep your child lice free. 1. Educate your child that they DO NOT share any kind of hats, hair accessories, combs, brushes etc. with anyone. 2. Check your child's head weekly for head lice. Look for signs such as itching, live bugs, or nits (eggs) in the hair. Lice are small wingless insects about the size of a sesame seed. They can't jump or fly and are brownish in color. They are transmitted by direct head to head contact. Nits (eggs) are yellowish-white, teardrop shaped, about the size of the eye of a needle. They attach to the hair shaft and are difficult to remove, unlike dandruff or dirt. Nits are frequently found at the nape of the neck, behind the ears, and on the crown of the head. 3. If your daughter has long hair, keep it in a ponytail or bun. There are some studies that have shown using hair products such as hair gel, hair spray, certain shampoos and conditioners can offer extra protection. 4. Keep coats, scarves, backpacks, hair accessories, anything that comes into contact with your child's head and shoulders clean by washing and drying frequently. Remember, ANYONE can get head lice, it has nothing to do with hygiene. If your child has head lice please let the school know so they can give you information on what to do, and take the proper steps to try to prevent it from infesting other students. If you ever have any questions, please call the school nurse. The inductees, as well as previous recipients of the award, will be honored at a reception on Thursday, September 20, 2018 at 4 p.m. at the Dayton Country Club. For reservations contact the Board of Education, Sandi Branham at 937-297-5332 or email at branham.sandi@oakwoodschools.org. Training for all new elementary volunteers for Lange, Harman, and Smith will be held at E. D. Smith Elementary on Thursday, September 6, 2018 at 5:30 p.m. and Thursday, September 13, 2018 at 10:30 a.m. at Harman School. Lynn Cowell, Smith principal, and Sarah Patterson, Harman principal, will be reviewing volunteer expectations and procedures and Oakwood Safety Department Chief Alan Hill will be presenting on school safety and the ALICE response model. Please feel free to attend whichever training is best for your schedule, regardless of the school your child attends.